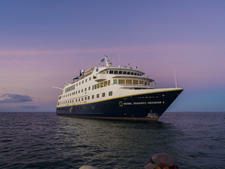 Lindblad Expeditions introduced National Geographic Explorer in 2008, providing the line with the most sophisticated expedition-style ship afloat. It's equipped with high-tech equipment for forecasting ice conditions, underwater cameras that can drop to the seabed and state-of-the-art audiovisual gear. 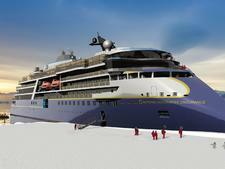 An ice-strengthened hull allows the ship to penetrate deep fjords in the Arctic and sail through pack ice in Antarctica. But this ship wasn't always so cutting-edge. 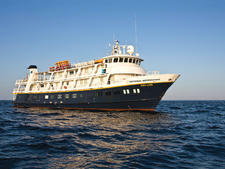 National Geographic Explorer was originally built in 1982 as Midnastol (Midnight Sun), a first-generation combination passenger and roll-on cargo ship operated by Norwegian Coastal Voyages (now Hurtigruten) for service along the Norwegian Coast. Soon after, the ship was seen as too small, and it was enlarged to its present dimensions in 1988-89 to carry additional passengers, the mail, vehicles and considerable freight. 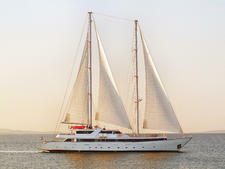 When larger and more cruise-like ships came along, Midnatsol was eventually laid up and made available for sale. 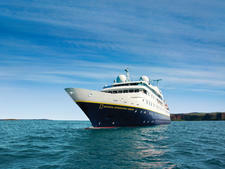 When Lindblad Expeditions bought the ship in October 2007, it needed considerable rebuilding. The upgrades included roomy passenger accommodations (large, at least, by the standards of expedition ships), several dining venues and a well-designed main lounge where passengers and the naturalist staff gather every evening to recap the day and learn the next day's activities. 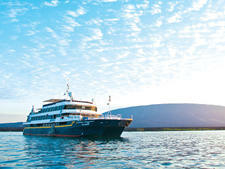 While the 148-passenger Explorer carries 52 more passengers than fleetmate National Geographic Endeavour (stationed in the Galapagos), the ship is twice the size of its sister, thus providing much more room per passenger and greatly expanded facilities for expedition cruising. National Geographic Explorer now roams the world, offering expedition cruises in the Polar regions and cultural enrichment sailings in the Baltic and Mediterranean seas. 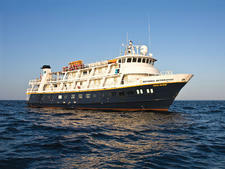 Lindblad and its partner, National Geographic, provide a top team of 14 naturalists, historians and photographers who cruise aboard Explorer. 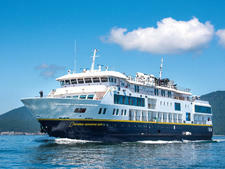 Some have been with Lindblad for years, and they, along with two highly experienced captains, aim to get the ship as close to wildlife as is warranted and give passengers the unique experiences they crave. A cruise on National Geographic Explorer does not come cheap, but you are paying for one of the best expedition offerings with respect to the standard of ship, the number and experience of the staff and the excellent organization. 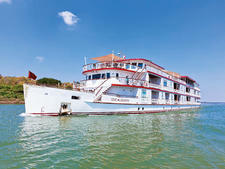 The itineraries often dictate the age of the passengers. The longer expeditions attract an older group, except during school holidays, and the shorter trips see a wider age range. Most passengers are Americans, with a smattering from Europe, Australia or East and South Asia, depending on the cruising region. All announcements are in English. The ship prints a list of passenger and staff names, along with everyone's cities, states and countries of origin. There is no dress code. It is up to the passengers to decide what they feel most comfortable wearing, depending on the weather and circumstances. 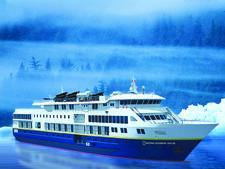 Lindblad passengers are not generally sloppy, so you won't see shorts and T-shirts at dinner. On the captain's night, few if any men will have jackets or ties. When cruising in the Polar regions, passengers will need special attire -- including boots that come up to the knee, heavy socks, waterproof pants to protect against rain and spray, parkas (supplied by Lindblad in Antarctica), scarves and gloves -- for going ashore. The currency onboard is the U.S. dollar, and passengers run tabs, which may be settled with major credit cards, cash or travelers checks. The suggested gratuity is $10 to $12 a day, and the tips are pooled among the crew. You may put the amount on your credit card. Naturalists, staff and officers are not tipped.